Regent Seven Seas Cruises’ brand of all-inclusive luxury is expanding to include unlimited internet access. For all Regent Seven Seas Cruises voyages setting sail after January 1, 2015, guests booked in Master, Grand, Seven Seas, Horizon, Mariner, Navigator and Voyager suites will receive unlimited complimentary internet access. 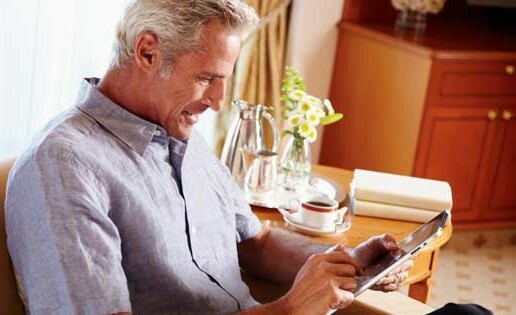 The free internet access is available for the duration of the cruise and is accessible in all public spaces and suites via the ship-wide Wi-Fi system. The addition of free unlimited internet access for upper suites coincides with the completion of a multimillion-dollar upgrade to internet systems on all Regent Seven Seas Cruises ships. The upgrades entail a doubling of available bandwidth to increase internet speed and reliability, and an expansion of the Wi-Fi system to provide connectivity throughout the entire ship, including all public spaces, outdoor decks and suites. While top tier suites will enjoy unlimited internet access, guests booked in Penthouse and Concierge suites will continue to receive complimentary internet time based on cruise length. For example, guests sailing on a seven-night voyage receive 200-minutes free and the amount of gratis internet time extends to 500-minutes for voyages over 16-nights. Members of the Regent Seven Seas Cruises loyalty program, Seven Seas Society, who achieved gold status or higher will continue to receive unlimited complimentary internet access onboard, regardless of suite selection. The expansion of the unlimited internet program adds to the most comprehensive list of included amenities in the vacation industry, including round-trip air, a pre-cruise hotel night stay, fine wine and spirits, unlimited shore excursions in every port, specialty dining, ground transfers and gratuities.